College students foiled the will of permanent residents in Denton's vote to ban hydraulic fracking, the losing side maintains. The Tribune crunched the numbers. That question has stirred debate since the city – home to the University of North Texas and Texas Woman's University – became the first in Texas to ban the oilfield technique that sparked a drilling boom and spawned tension in some urban areas. “The election returns clearly show the permanent residents of Denton favor property owner rights, economic benefits from responsible drilling and American energy independence while our city’s college students did not," Bobby Jones, treasurer of anti-ban group Denton Taxpayers for a Strong Economy, said three days after the election. The ban's supporters reject that narrative. 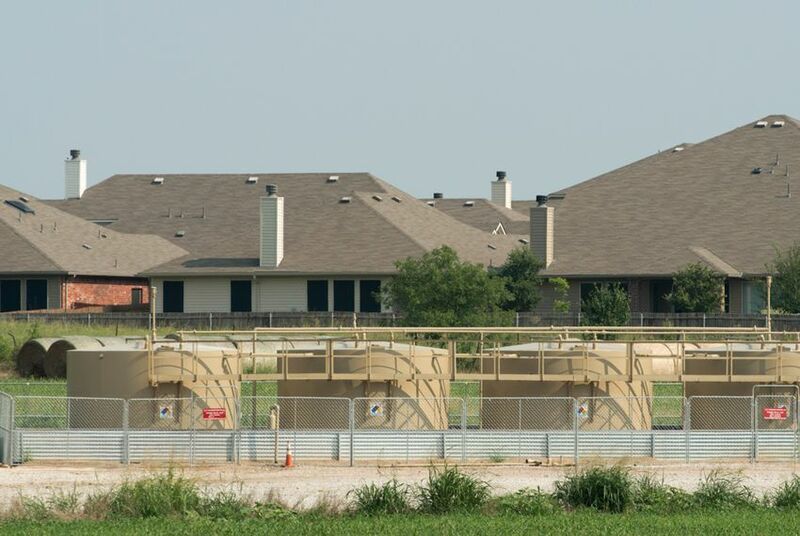 "They're treating a whole group of people as if their votes don't count as much as other people," said Adam Briggle, a board member of Frack Free Denton, a group pushing the ban. "My second reaction is, it's wildly inaccurate." The truth probably lies somewhere in the middle, according to precinct-by-precinct voting results and demographic information about Denton’s voters and college students. The student vote appears to have helped the anti-fracking effort, but it's far from clear that Denton would have rejected the ban without it. College students were probably more likely than other voters to support the ban, precinct-level data shows. For instance, voters in precincts closer to the campuses overwhelmingly supported the ban – and Wendy Davis over Greg Abbott in the race for governor. And in seven precincts, Mark Boler, a Libertarian, defeated U.S. Rep. Michael Burgess, even though Burgess – a UNT alumnus – won his re-election bid with 83 percent of the total vote. Neither Davis nor Boler won any precinct that rejected the fracking ban. Still, both Abbott and the ban won in 11 of the 33 precincts where more than two people weighed in on the fracking ban. But would Denton have passed the ban without students’ input? That’s impossible to know for sure, because no one tracks data on how many students vote. But demographic information yields a rough idea. 15,151: Total number of students enrolled at TWU for the fall 2013 semester, the most recent demographic available. About 47 percent of all students were 24 years old or younger, while close to 77 percent were 34 or younger. 36,168: Total number of students enrolled at UNT for the fall 2013 semester, the most recent demographic breakdown available. The average age of all students was 24.1 years. About 75 percent of all students were 25 or younger. 52: The average age of Denton residents who voted in the general election. Clearly, Denton’s younger college students did not singlehandedly tilt the vote. Remove all voters 25 years old or younger (and assume all voted for the ban, which is unlikely), and the ban would still pass by 1,407 votes. But, of course, Denton has plenty of older students. Remove all voters 35 years or younger (again, assuming all voted for the ban) and Denton would reject the ban by 2,281 votes. Cut out all voters 30 years or younger, and the margin would be far closer: just 412 votes. Of course, these scenarios would remove an unknown number of non-student votes and would not account for an unknown number of older students. But ultimately, students have the right to vote, so their opinions counted. Now, the more important question is this: What do Texas judges have to say about the ban, which has prompted lawsuits? Not all students in Denton make their permanent homes elsewhere. In fall of 2013, nearly 3,000 enrolled at TWU came from Denton County. Nearly 6,700 who enrolled at UNT came from inside the county. Precinct 4003 opposed the ban by a whopping 30-point margin. That precinct includes the Meadows of Hickory Creek, where drilling next to homes prompted much of the backlash against fracking. Opponents of the ban say those results support their narrative that Denton homeowners support fracking. Cathy McMullen, president of Frack Free Denton, said she believes other factors led the large precinct to vote that way. For instance, she said, that precinct also includes a retirement community built by Ed Robson, an Arizona developer who owns millions in mineral interests in Denton.